Many were disappointed with Fallout 76 when it shipped last year. Actually, Bethesda’s post-apocalyptic video game was nowhere near as great as its predecessor Fallout 4, and Bethesda’s attempts to make a multiplayer game in the Fallout universe did fall flat. This doesn’t mean the game did not enjoy a measure of success, and it did indeed sell more than a million copies after launch. And it’s clear some people have really taken to the game, as Bethesda recently revealed Fallout 76 players spend an average of four hours playing the game each day. 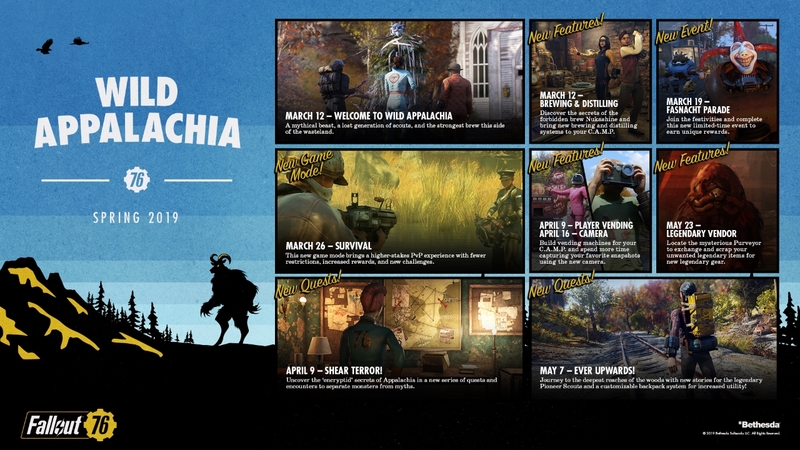 Maryland-based company Bethesda also revealed that it plans to keep adding new, fresh content to Fallout 76, announcing the studio’s 2019 roadmap for its post-apocalyptic game set in West Virginia. Starting in spring this year, Fallout 76 will be getting new content and features. Coming first is the “Wild Appalachia” update. This update includes new quests. A set of these have to do with “monsters and myths” while others will take you to the “deepest reaches of the woods” and involve a group known as the Pioneer Scouts. Aside from this, a slew of new features could help make Fallout 76 more interesting. For starters, there will be a legendary vendor (who will presumably deal in legendary items, and will also let you scrap these to obtain new legendary gear). Players will also be able to add a vending machine to their in-game settlement (the CAMP), which will earn them caps when other players buy stuff from it, plus brewing and distilling will get an upgrade with new in-game recipes and more. More interesting is the new Survival mode. This is a new game mode which lets you go toe to toe with other players for increased rewards, and with fewer restrictions than in the main game. Aside from the spring update, more free content is coming to Fallout 76 later in the year. Amongst the highlights is a new game mode called “Nuclear Winter”, which according to Bethesda is “an entirely new way to play Fallout 76”. Also, raids are coming to the game, and seasoned players will be able to take part in Vault Raids together with other high-level players. What’s clear, though, is that many Fallout 76 owners will be looking forward to the “Wastelanders” update. This is because, amongst other things, this update will feature a new main quest. This will be good news for those who thought that Fallout 76’s main questline (which involved a character known as the Overseer) was a bit dull. All these updates are no doubt something that will make Fallout 76 owners cheer… That is, unless they have given up on Bethesda’s game already. 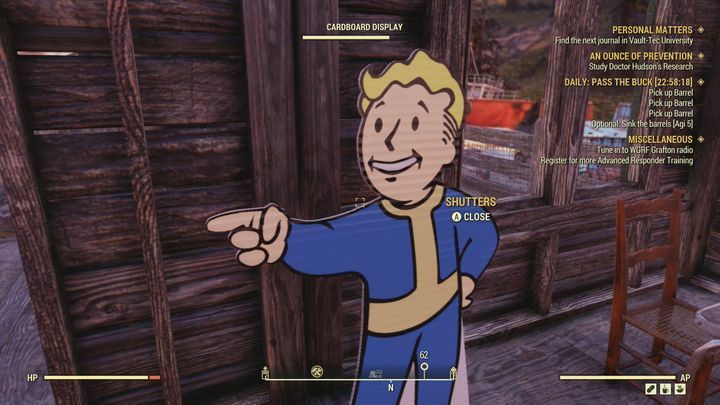 Those yet to take the plunge and buy the game, though, might want to wait in order to find out whether Bethesda is able to patch Fallout 76 into shape after its poor launch last year, so stay tuned to this website for more information about Fallout 76’s upcoming updates as they become available. Next: Could another Fallout game be coming out this year?